Strange structures start to appear all around as one drives toward the Korean Demilitarized Zone from either side of the border. There are overhead signs and what appear to be bridges connecting nothing at either end, roadside concrete blocks stacked like Brutalist totem poles, beach ball-sized steel orbs rusting on stumpy pedestals and other odd varieties. Some look like old ruins. Others could be mistaken for art. While the forms vary, these odd assemblies share a common purpose: in case of war, explosives can quickly turn them into defensive rubble. Things get even stranger north of the border. There is a retro-futuristic restaurant, for instance, spanning a major highway in North Korea that is rumored to be rigged with explosives so the entire building can be dropped on the road below. Both sides have made preparations. And these are just part of a larger system of infrastructural and architectural defense strategies. Roads grow slowly narrower as they approach the border. 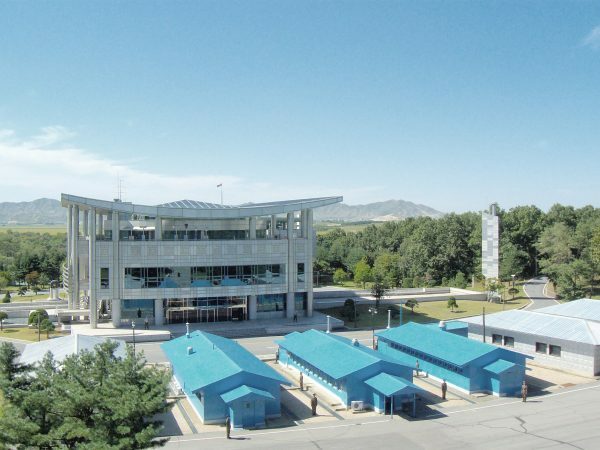 Some government buildings near the DMZ are also designed to be converted for military use if the need arises. Over time, the built environment of this border region has become home to a truly uncanny array of structural oddities, from fake propaganda towns to secret underground invasion tunnels. The Republic of Korea (aka South Korea) and Democratic People’s Republic of Korea (aka North Korea) have effectively been at war for over 60 years. The Korean Armistice Agreement brought an end to the active hostilities of the Korean War in 1953, but it was only meant to be a temporary measure. The agreement was to “insure a complete cessation of hostilities and of all acts of armed force in Korea until a final peaceful settlement is achieved” — since no such settlement was ever achieved, the conflict remains open-ended. The Korean Demilitarized Zone was formed as part of the armistice agreement. It spans 160 miles from coast to coast and is 2.5 miles wide with the Military Demarcation Line running down the center — soldiers on each side can patrol up to but not across the line. 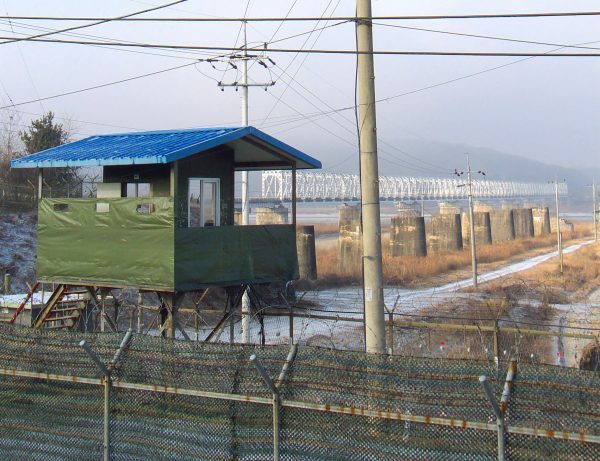 To this day, the border between remains one of the most militarized in the world as both sides claim the right to govern the whole Korean peninsula. 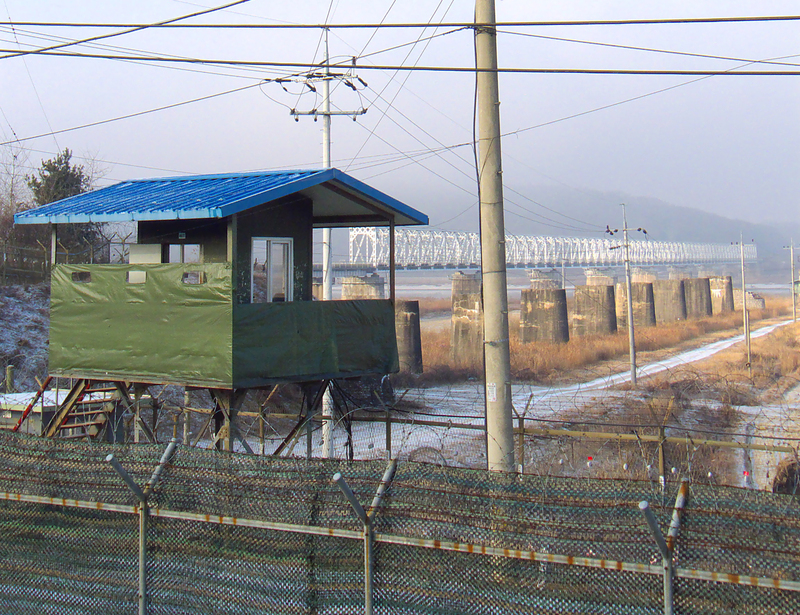 Around the DMZ, the tension of these irreconcilable claims has slowly reshaped the landscape of the region since the armistice was signed. For most of the last half-century, there has been only one official point of interaction between the two sides. 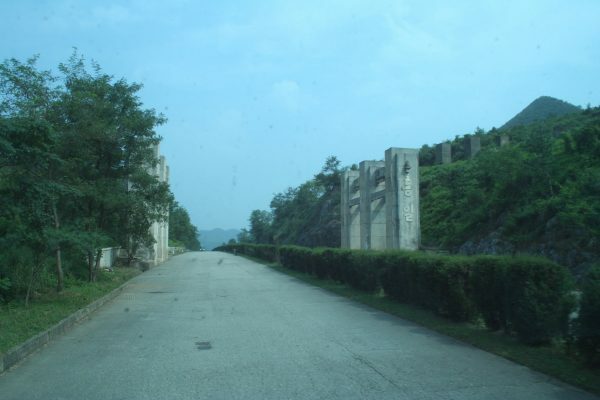 Sometimes referred to as “Truce Village,” the Joint Security Area (JSA) was the site at which the armistice was signed — at the time, its infamous Bridge of No Return was used to repatriate prisoners of war as well. Over 100,000 tourists visit each year, but they must sign a waiver acknowledging risk of injury or death. Initially, the JSA was neutral territory and people could move about and interact freely, but one (of many) deadly Cold War-era clashes put an end to that in the 1970s and a line was drawn down the middle. Today, that line cuts through a series of conference buildings with entrances on both sides so officials can meet face to face inside across border-spanning tables. Outside, troops also face each other across the divide, which is marked by a strip of concrete blocks on the ground. 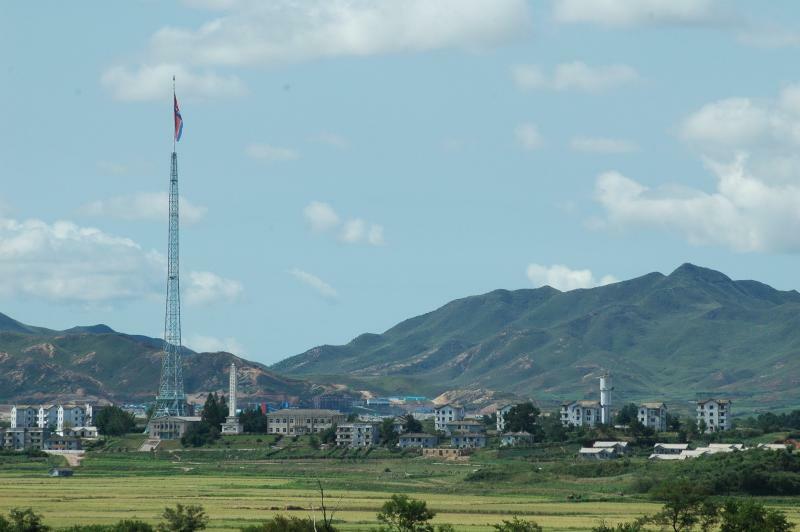 Beyond the JSA, both North and South Korea maintain “peace villages” that are visible across the border. 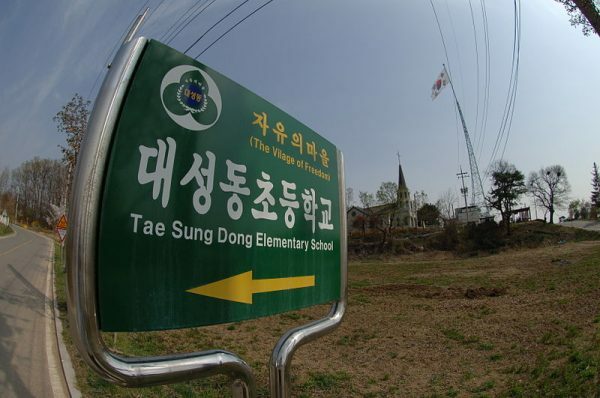 On the south side, residents of Daeseong-dong live tax-free and exempt from military service. On the north side, the situation appears much stranger — even at a glance, Kijong-dong looks conspicuously luxurious for a rural North Korean town. It is also not clear whether there are even livable spaces inside the structures. Interior lights turn on and off at set times while street-sweeping caretakers appear positioned to make it look occupied. Farmers seem to show up during the day but depart at night. And then there are the flagpoles. Starting in the 1980s, the southern town raised a flag over 300 feet, sparking a “flagpole war.” To the north, a competing flag was raised over 500 feet, making it the fourth tallest flagpole in the world. Nor was this the first flag joust at the border — an entire meeting early in the armistice process was devoted to flag size (after each side kept bringing bigger ones into a conference tent). Off and on since the armistice, loudspeakers positioned on both sides have also broadcast audio propaganda across the border, aiming to reach residents of peace villages or soldiers on patrol. Balloons carrying political pamphlets have been launched by each side as well. 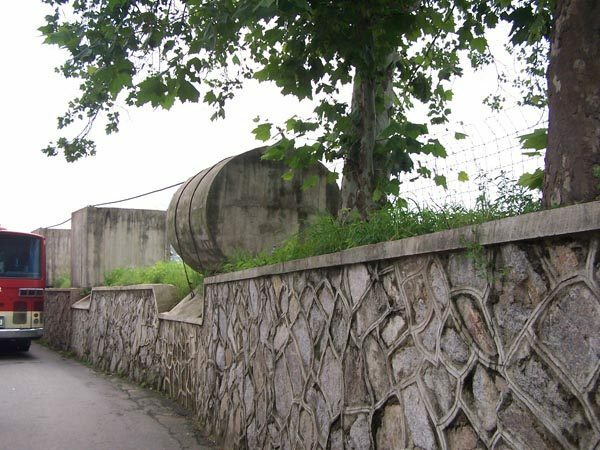 Since the 1970s, a series of tunnels crossing the DMZ from the north have been discovered in the south, some quite large and advanced. Even the first one, while relatively narrow, contained electric lighting, weapons storage and sleeping areas. It was discovered half a mile into South Korean territory when soldiers spotted steam rising up inexplicably from the ground. 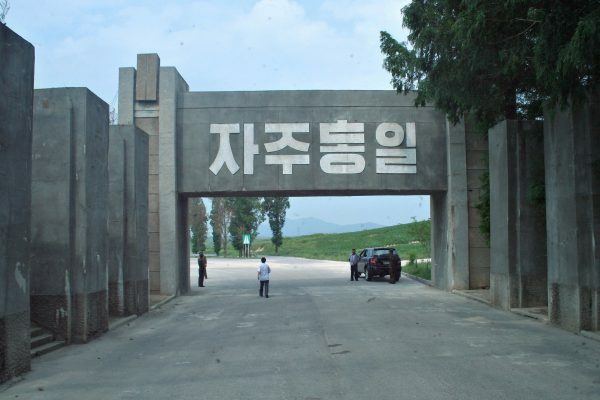 Other tunnels have been found thanks to reports from defectors and subsurface blasting sounds. 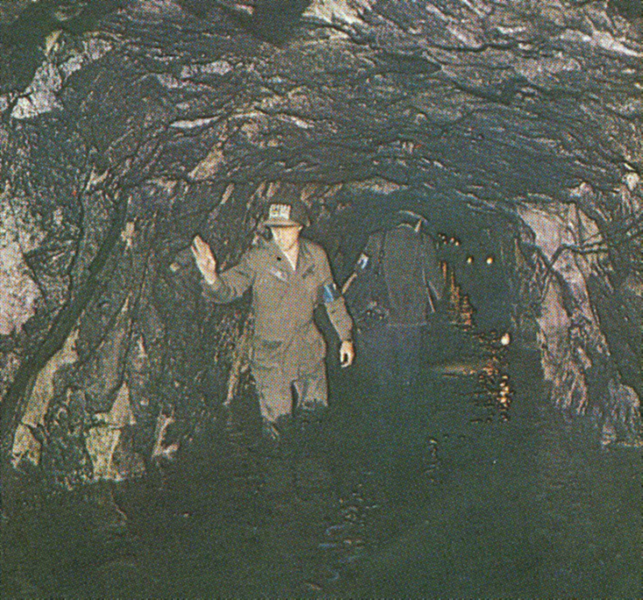 North Korea has tried to pass the tunnels off as mining operations, but their depth and north/south orientation suggest otherwise. 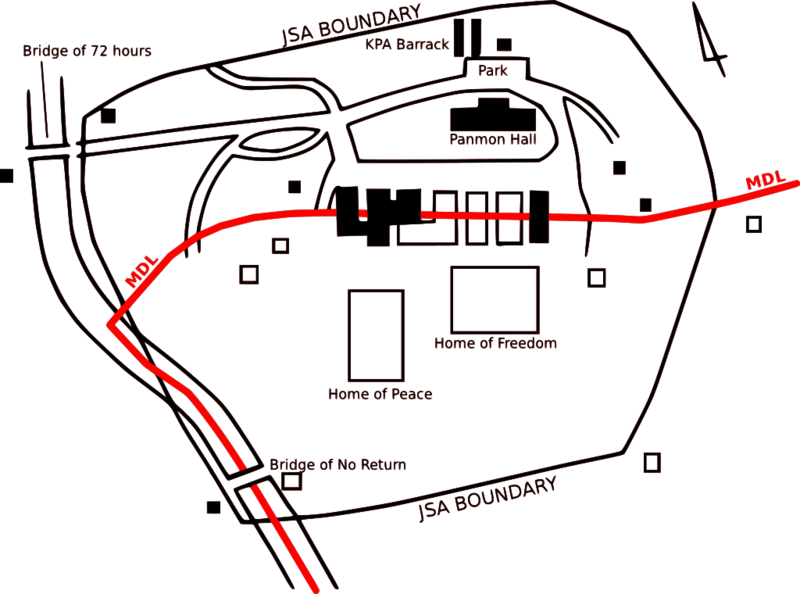 Some of the tunnels run hundreds of feet deep and are as much as a mile long. 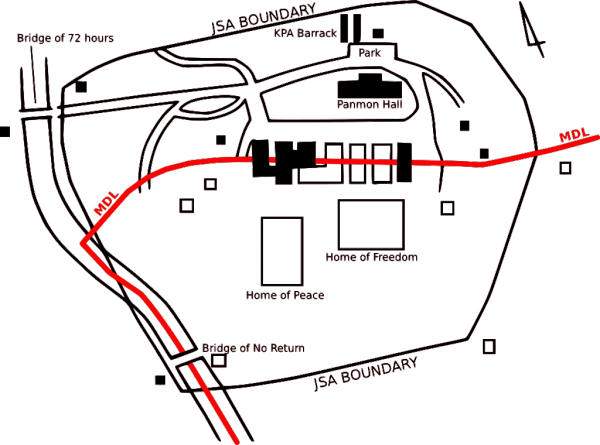 A few tunnels are open as tourist attractions and one even ferries visitors into the depths via a small train — of course, these have been blocked off in the middle to deter invaders from the north. Though only a handful have been discovered, many more are suspected to exist. While officials in South Korea are skeptical of tunnels being able to reach all the way to Seoul, others believe they already have. Retired general Hahn Sung-Chu reports that residents of an apartment building in the capital city called in about a subsurface disturbance. When he and his team drilled holes in order to lower cameras they detected underground explosions. He believes this was the sound of North Korean soldiers covering their tracks. Pushing tunnels that far south, though, would mean digging deep then angling back up so they can drain back toward the north. Rubble would also have to be removed carefully at night to avoid being detected by aerial surveillance. 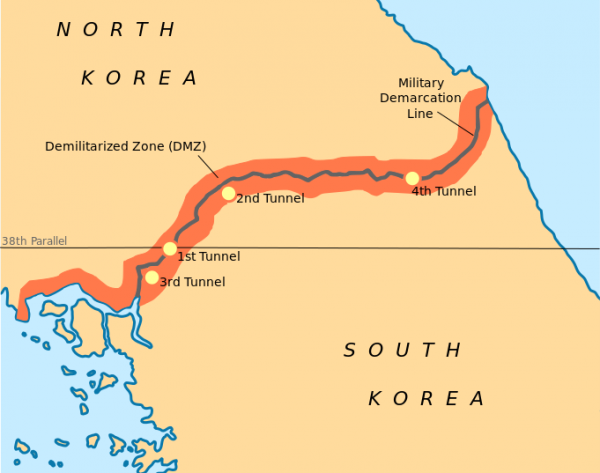 Miles beyond the southern edge of the DMZ is the Civilian Control Line, which effectively extends the buffer zone between north and south. Featuring barbed-wire fences and guard posts, it looks much like a border. 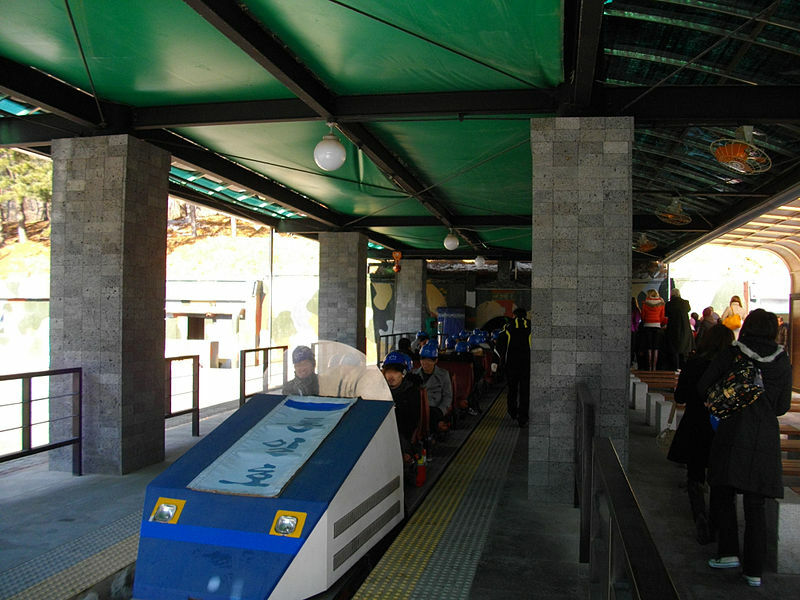 The line is designed to monitor travelers headed toward the DMZ and maintain security for military installations in the area. These days, though, worries about ground invasion have given way to fears of attack from above via long-range artillery and missiles. There is still a strong military presence in the area but the focus has shifted. 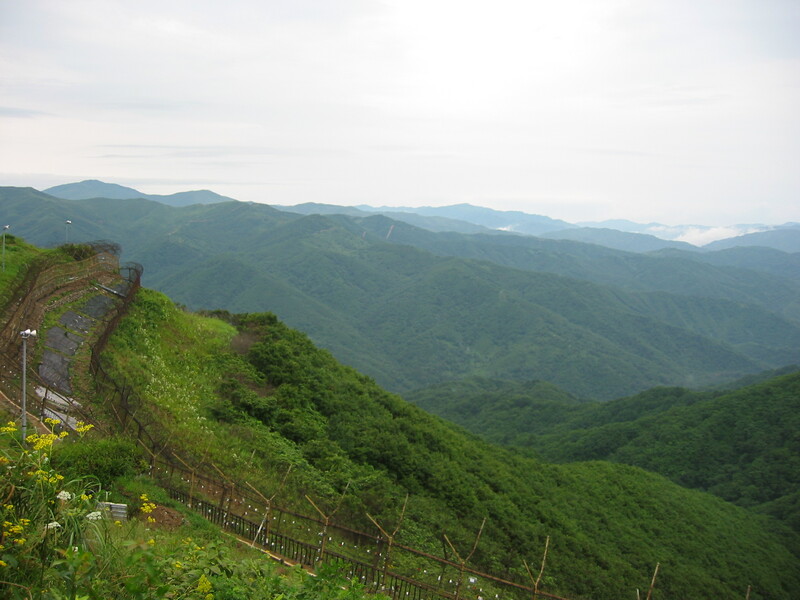 Meanwhile, much like the Iron Curtain in Europe lead to the accidental creation of a “European Greenbelt,” the buffer zone around the Korean border has also shaped the natural environment. Amidst landmines and listening posts, the region has become one of the world’s largest “involuntary parks.” While human tensions persist, non-human species are thriving in this exceptionally well-preserved temperate habitat. This zone owes its biodiversity to a rich mix of mountains, prairies, swamps, lakes and marshes along with a relative lack of human intervention. But like many things at the intersection of north and south, even this potential silver lining is not seen the same way on both sides. 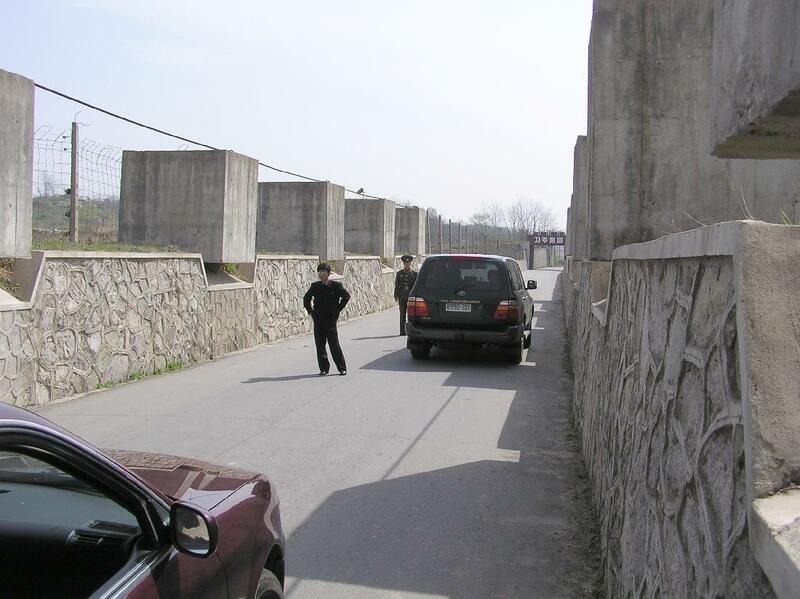 When South Korea pitched the southern part of the DMZ as a potential Biosphere Reserve to UNESCO, North Korea blocked the attempt to create that designation, claiming it would violate the armistice. I wonder how much the government of NK could do for its people if the money for all this foolishness was directed to humanitarian ends? I’ve visited Russia a number of times, and outside Moscow, its pretty much a third world country. Same question: how much better would the lives of the citizens be if they hadn’t blown all that money on all the manifestations of the Cold War? Of course, the question could be applied to the U.S., but out resources are so plentiful that the sacrifice is less obvious. People ar funny…governments are dangerous. Hahn Sung Joo’s theory had been proved 100% fake long time ago. Many are true with this article but not all. I am from South Korea. We also are worry about too much exaggeration. We love peace not war. Was this inspired by a listener suggestion? Just curious to know if my suggestion inspired this article. I actually spotted the same reddit thread before I saw your email, but still really appreciate you writing in. If it hadn’t been on my radar your tip would have gotten me to take a look. So: thank you!